The financial system’s current condition and prospects for development are defined by relationships between various factors promoting stability or instability at a given time. The stability of any system, including the financial system, depends on the interaction of numerous factors: stabilizing and destabilizing, external and internal. A factor is the cause or driving force of a process or phenomenon that defines its character or individual features. The factors affecting the financial system are the circumstances promoting the stability or instability of the system’s operation and development in a given period of time. It should be noted that the same circumstances can be both favourable (stabilizing) and unfavourable (destabilizing). By complementing the traditional classification of factors as internal and external with information on whether their origin and influence on financial system stability is objective or subjective, we can formulate more clearly the set of conditions determining stability (Fig. 1). Factors in effect at the moment can become the basis of conditions ensuring the stability of the national financial system. Consideration of these stability factors makes it possible to develop effective mechanisms of financial system oversight and to deploy available resources more effectively in the event that anti-crisis measures are required. - to avoid a crisis that threatens the economic security of the country (agricultural sector, housing and utilities). The stimulatory effect of these benefits leads to an increase in production and, consequently, greater budget stability. Another measure is the introduction of a progressive income tax and progressive property tax, which reduces income inequality and encourages the redistribution of business revenues from unproductive purposes toward investment. 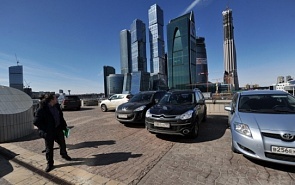 Greater attention to social priorities and higher spending to bolster the national economy may be another condition promoting the stability of the economic and financial system of the Russian Federation as such spending in the current budget system is unreasonably low. In particular, government spending on education should be raised from 4% to 9% in the federal budget and from 7% to 14%-16% in the consolidated budget in order to increase total spending on education (public and private) from 4.7% of GDP to 10%-12% of GDP. This is the minimum level required to reverse the downward trend in the educational system. However, priorities in modern Russia are different. Thus, education spending is expected to fall sharply in 2014, from 4.6% of the total budget in 2012 to 3.3%, due to purely political factors, i.e. elections. - creation of a state investment bank to finance long-term projects under state programs. These important factors can become a precondition for the sustainable development of the financial system in future, provided resources are concentrated in this area (international reserves of the Bank of Russia, federal budget, development institutions, etc. ), the appropriate monitoring tools are created for the economic and financial system in the country and the world, etc. Margarita Afonasova is Professor of Economics at the Tomsk State University of Control Systems and Radioelectronics.